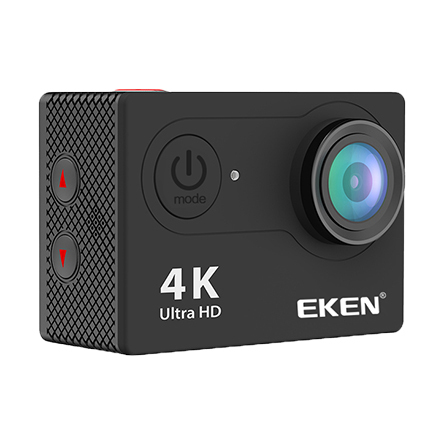 You may own an Eken H9 series action camera. You may, like myself, have gotten a few different lenses for it to modify it for your own, non-fisheye, use. But how will you connect to it either through a wire or wireless? All you need is an application (VLC will do) that can read in an RTSP stream (read more on those over at Wikipedia) and punt it to wherever you’d like. Be aware that you won’t be streaming out at full resolution (yet? maybe impossible?). While it does work the Eken can only output “standard def” 480p with the following network connection address. I’m still looking into changing the URL around for different streams. Unfortunately the Eken flat out crashes if you connect to an invalid URL. That’s not exactly the best handling on error conditions there folks! Host is up (0.0084s latency). Host is up (0.0086s latency). It also runs an FTP server on the address sharing out all the contents of your Eken to anything that connects up to it. Poor error handling and poor security come prepackaged on this unit. But the Eken is at the lowest price point you’re likely to find. And the quality is in the cheap and cheerful camp rather than total crap. At the 40~50 USD price point I like it! Eken’s H9 is running a wifi network at 54mbps (20mhz, no HT). That’d suggest 802.11g standards. http://hackeken.blogspot.com/2017/01/reverse-engineering-eken-android-app.html#more: Listed the URL for connection as sniffed from WireShark. Hackeken also lists the username and password which are passed in clear-text. Mr. Beams produces an inexpensive line of autonomous outdoor lights. Coming in at 25$ each and 47$ or so for a pair they’re decent bang for your lighting buck.